Is the U.S. Investing Enough in Electricity Grid Reliability? We had a 2-hour power outage at our house last week, together with 45,000 other customers in the East Bay. The lights flickered off just after 8PM and didn’t come back on until after 10PM. Nothing like going without something that you take for granted to make you realize just how valuable it is. My son and I had fun gathering our candles and figuring out that our hand-crank radio played Mariachi music, but that only lasted for about half an hour. As the minutes ticked by without WiFi, the economist in me started thinking about just how much I would be willing to pay to get the electricity back. I had a meeting the next day to prepare for, and it was my turn to take a pass through the slide deck. I couldn’t even get good enough cell service to download the presentation to my phone, perhaps because local cell towers were also affected by the outage. The beauty of the free market is that it allocates resources to the sectors of the economy where they are most valued. (Yes, I’m beating the economics drum, but this is econ 101 – we ALL agree on this one, even the two-handed economists.) If enough customers value a good highly and it’s inexpensive to produce, an innovative entrepreneur can make money by figuring out how to sell that good to consumers. So, most goods and services that people value more highly than it costs to provide them exist, and things that aren’t valued don’t exist. 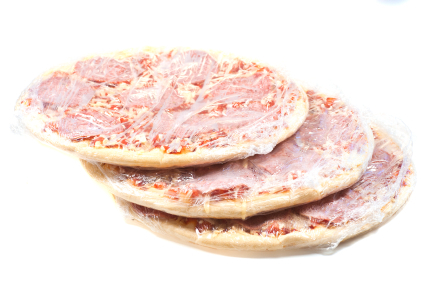 The market supplies frozen pizzas and smart phones, but not condos in space, because they’re super expensive and not, currently, in high demand. Things are different with electricity. Given that the majority of the world’s citizens get electricity from some kind of regulated or state-owned monopoly, we’ve basically given up on using the market to figure out how much people value electricity reliability. So, regulators and the regulated companies are left guessing how much customers are willing to endure higher prices to cover a more robust system. My personal hypothesis is that we have gotten this wrong in the U.S. I suspect we’re underproviding reliability and spending too little on making the grid more secure. Even in areas of the U.S. that have restructured (or, what we used to call “deregulated”) their electricity industries, the distribution system remains regulated. Most outages are caused by failures at the distribution system level. Further, in most restructured wholesale markets, generation reliability is impacted by regulatory decisions on things like reserve margins. Yes, there are many parts of the developing world where (only!) 2 hours without power is not a good day but an extraordinary day. But, there’s another side to the spectrum. Germany and other parts of Europe have much more reliable electricity systems than the U.S. I first heard this anecdotally from a friend who grew up in Germany and said he could remember one outage throughout his entire childhood. The table below shows that his anecdote is true generally. Source: Galvin Electricity Initiative report, Table 1. Being on top of this list isn’t good. Larger values of SAIDI (System Average Interruption Duration Index) and SAIFI (System Average Interruption Frequency Index) indicate less reliable power. Roughly, SAIDI reflects the average number of minutes per year that customers are without electricity and SAIFI reflects the average number of outages customers experience per year. Americans endure 10 times as many minutes of outages compared to Germans. Recent work from Lawrence Berkeley National Labs (LBNL) suggests that, if anything, reliability has been getting worse in the U.S. over time. If the regulators in both Germany and the U.S. were doing a good job approximating market outcomes, these vast differences in the amount of reliability would suggest that either the German utilities can provide reliability at a much lower cost or that German customers have much higher demands for reliability. My guess is that neither of these things is true. The electricity systems are very similar, so I don’t think Germans are using a radically different technology to drive their costs down. Maybe Americans live in areas that are more exposed to storms, but 10 times more exposed seems implausible. Why do I think the U.S. is spending too little on reliability and not that Germany is spending too much? At a very macro level, estimates of the annual economic losses from electricity outages are very high, ranging from $20 billion to $150 billion annually. This seems like a lot of lost productivity and I would hope there are relatively inexpensive investments we can make in the grid to avoid these losses. Also, as I have blogged about earlier, to the extent we can back out how much regulators think customers value reliability, the estimates seem low. Is Elon Musk going to solve this for us? In the post-Powerwall world, people who value reliability highly can vote with their pocketbooks and spend $3,500 to get a battery backup that will deliver 10 kWh each time there’s an outage. From what I’ve read, they’ll spend another $3,500 on installation and the ancillary equipment, like a smart inverter. 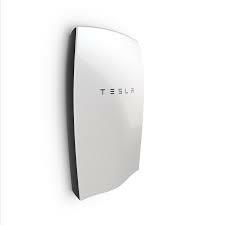 Someone I spoke to recently who didn’t like outages was looking forward to installing a Powerwall, although he is a senior employee of a large tech company and probably thinks about $7,000 investments the way most of us think about spending $50. Let’s run some quick numbers on the Powerwall. Let’s say it costs $7,000 for a 10kWh battery, which I assume you use for four 2-hour outages per year. According to the table above, the U.S. average is 240 minutes of outages across 1.5 events, but let’s think about people who are experiencing many more outages than average. The Powerwall is supposed to last for 15 years, so at a 5% real interest rate, the rental cost of capital is about $675 per year to get 10 kWh 4 times per year. This amounts to almost $17 per kWh. Given that average U.S. customer pays 12 cents per kWh, that’s a SUPER expensive backup. Finally, it’s not clear to me that having a Powerwall at your house will deliver the kind of reliability we really want. In our highly networked world, it’s possible the outage will disable other services. If the battery backups on the local cell towers run out, it could be hard to make calls. In short, while the Powerwall might satisfy the demand for reliability for a handful of very wealthy or very outage averse U.S. customers, I suspect it will leave a lot of unmet demand. Plus, if we’re just talking about backup electricity, it’s not even clear that the Powerwall fills a niche that a diesel generator didn’t already fill, though it does look sleek. We have a lot more to learn about reliability. This post makes some assertions that I would love to see substantiated with hard evidence! But, as the LBNL folks point out, we currently don’t even collect very good data. The good news is that new technologies seem poised to deliver better information on reliability and to give us new ways to enhance the electric grid. But, whether utility companies and regulators have the right incentives to use this information to ensure that systems are delivering the correct amount of reliability is an open question. Catherine Wolfram is the Cora Jane Flood Professor of Business Administration at the Haas School of Business, University of California, Berkeley. ​During Academic year 2018-19, she will serve as the Acting Associate Dean for Academic Affairs at Berkeley Haas. She is the Program Director of the National Bureau of Economic Research's Environment and Energy Economics Program, Faculty Director of The E2e Project, a research organization focused on energy efficiency and a research affiliate at the Energy Institute at Haas. She is also an affiliated faculty member of in the Agriculture and Resource Economics department and the Energy and Resources Group at Berkeley. Wolfram has published extensively on the economics of energy markets. Her work has analyzed rural electrification programs in the developing world, energy efficiency programs in the US, the effects of environmental regulation on energy markets and the impact of privatization and restructuring in the US and UK. She is currently implementing several randomized controlled trials to evaluate energy programs in the U.S., Ghana, and Kenya. She received a PhD in Economics from MIT in 1996 and an AB from Harvard in 1989. Before joining the faculty at UC Berkeley, she was an Assistant Professor of Economics at Harvard. Next Next post: How Should Distributed Generation be Distributed? According to the web site http://shrinkthatfootprint.com/average-electricity-prices-kwh Germany has one of the highest electricity prices in the world at 35 cents/Kwh, or over twice what California pays. So they may well have a more reliable system but pay a huge amount for this reliability. Still, average German households spend a lower percentage of their income for electricity than the av. US household. Seems to me the picture is more complicated. There’s a large body of work addressing customer value of service that identifies what people indicate they are willing to pay for reliability. Joe Eto has done some meta study work for Lawrence Berkeley, and Michael Sullivan has performed quite a few studies for utilities around the country, for instance. It’s hard to boil down the value of an avoided outage to a customer into a simple metric since seaon, time of day, notice, and duration are all important attributes, but figure $5 to $10 per residential outage. Because distribution systems are radial, the number of customers impacted by an outage tends to be limited. This means that the costs of improving reliability acrross a broad area becomes fairly high. At $10 per customer, the value of avoiding the outage described in the blog is less than $0.5 million, which doesn’t go very far towards improving reliability in a geographical area that is large enough for 45,000 customers to reside in. A great point about underground lines! Germany also has a significantly denser population than the US. This means that the electrical system in Germany requires many fewer miles (or kilometers) of line than the US system to serve the same number of users. This density also makes the cost of buried lines lower per user. It is also interesting to analyze the situation from a system “robustness” perspective as well as the “reliability” perspective. The two concepts are similar, but robustness is also about how the system reacts when outages do occur. The way that the US electrical system is currently organized is very vulnerable to chain-reactions where a small hick-up in one location is rapidly magnified into a regional outage. Germany’s lawmakers have been driving its grid to become much more decentralized. This radically improves system robustness by not letting these chain reactions happen and keeping small local problems small and local. To do this, Germany has been installing energy storage, like Tesla’ s Powerwall, like crazy… and faster and faster! The politics of energy in Germany are far different than here in the US. We’ve got a lot of old rules in place that make it very hard and expensive for our system to decentralize. Things are getting better, but once again, Germany is far ahead in this effort… and the gap continues to widen. I am curious, are the distribution systems in the EU networked? Downtown St. Louis, where the load is most dense, is on a distribution network. Under such a system, the effect of a single line outage is much less than on a radial system. In the county, much of the sub-transmission system had automatic switching to reduce outages to the customer. Yet there were many long 12 kV lines where if there is an outage, many customers are out of service. In the Netherlands almost all of the medium voltage grid is networked. The low voltage part of the grid far less. I agree with Jonathan that the source of most outages is the distribution system (the last estimate I remember is well over 90%) and that in other parts of the world the distribution system is often undergrounded. In many new suburbs, the lines are undergrounded not for reliability, but aesthetics; residential customers generally find above ground lines unseemly. The difficulty for older, established communities is the extreme expense of replacing the current distribution facilities with new underground ones. It has been a while, but the last time I looked at this, the cost was approximately 10-15x that of above ground. Undergrounding higher voltage facilities, such as subtransmission lines, have an even higher factor. A study which looked at raising the reliability of the Washington, D.C. area by undergrounding put the cost in the billions. Few utility customers are willing to accept the implied rate increases required to do so. It is a shame that for the most part the distribution system isn’t underground, but it seems unlikely it ever will be. 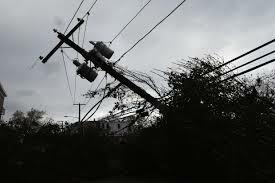 Even for areas that may be unlikely to switch from overhead to underground distribution, there’s still plenty that can be done to reduce outage risk, or reduce the number of customers that lose service in a storm by adding switching and controls to keep more of the system up and running and maybe even allow DG to provide emergency supply. This may mean more differentiation depending on where you are however – the automation investment would benefit urban (denser network) more than rural (completely radial with no opportunity to mesh circuits), perhaps another reason to have a conversation about rates that are somehow more related to actual reliability. Thanks for the interesting article. Because I completely lack data, I am free to theorize an alternative conclusion. It could be that we in the developed world are getting too much reliability, and paying too much for it. Let’s ignore some practical considerations about how reliable service is built today. I think we can all agree that the value of lost load is heterogeneous by customer. In fact, it probably varies a lot, as a semiconductor fab looking at a 20 minute outage might have to scrap millions of dollars in wafers in progress, whereas a residential ratepayer may only have to deal with delaying screening Game of Thrones. But the heterogeneity doesn’t stop at the meter. Even within one bill, uses have wildly different values. You would have been willing to pay to work on your deck for work, but your fridge can coast for hours with no negative effect at all, and there are probably a bunch of devices in your house that you would not miss for a day. Maybe you’ll make oatmeal for breakfast rather than toast. The first case of heterogeneity I find interesting because it represents the ever-present cross subsidies in this industry. Whether that is a feature or a bug is an exercise in ideology. The latter case is interesting, because rather than requiring a multiple kWh “Powerwall” it could perhaps be met more economically by judicious application of smaller amounts of energy storage, maybe in the devices themselves. The technology of the last century necessarily forced us into a “one size fits all” electric power delivery policy. The technology of today is perhaps still like that, but one can at least imagine a future with a la carte pricing that includes reliability options. (I know this already exists to a degree for large customers.) My retail bill is ~40% distribution. I might be happy to take lower reliability service for a discount. I’ll plug my router into a UPS and my Internet service would be good to go — assuming my network provider backs up their system, of course. Ah, but since most outages are localized on distribution systems, and our customers who demand the highest reliability tend to be clustered on individual circuits, we can provide different levels of reliability by customer with our current technology. It means moving to area-based rates, a concept floated by PG&E in the late ’90s but interrupted by restructuring. Time to bring the idea back–it solves many problems. When I was a sub-transmission planner in St. Louis, customers were offered and sometimes paid for an additional circuit and or transformer to bolster their reliability. It is one thing for a utility to offer enhanced reliability for an enhanced price, quite another to offer reduced reliability for a cheaper price. I think politics will block the latter as long as the utility model is in place, and, as I implied, whether that’s for the best is a normative judgement. However, as studies seem to indicate that US grid reliability appears to be in decline, perhaps this transition is already afoot, in a subtler form. I merely suggest that the reliability standards did not come from the Lord Almighty. They were chosen for reasons, and different ones could be chosen for other reasons. The notion that more is better is only universally true if more is free, or at least the cost can be foisted on someone else. That is tremendous, thank you! Although your statement was clearly made with tongue firmly in cheek, you have likely provided the most accurate assessment ever provided herein! The author ignores the most obvious and cheapest method to respond to frequent outages or infrequent lengthy outages: buy a generator! 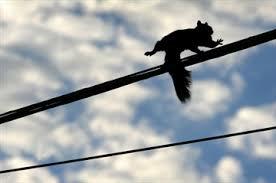 That is what most folks do where there have been lengthy winter storms or hurricane related outages. This might not be the appropriate approach for urban settings or condominiums, but it sure is the common investment in suburban and rural areas. Also, the reply above reflects a notation that I was also going to provide relating to the prominence of underground wires in many European countries. Perhaps you recall WWII and the need to rebuilt? Well, they did it (some with US dollars) to rebuild their infrastructure. The costs to significantly improve reliability for most U.S. utilities is very high, relating to underground service, extensive tree trimming and redoing some of the layout of the circuits. Not to mention the “distribution automation” or “smart grid” investments being promoted at much millions to achieve improved reliability. Believe me, this is a big issue in many rate cases and utilities are depending surcharges and riders to undertake these investments. This is a very interesting read! Long response here (not a rant!). Thanks for sharing, Prof. Wolfram! Here are a few thoughts on measures of reliability, a comparison of Germany, and the question of reliability risk as it plays out within rate structures. Of note, one may want to consider a cautious comparison, especially in regard to reliability stats, especially with how those measures may inform investment decisions. With overall measures like SAIDI and CAIFI, the system looks pretty good. The denominator is an overall customer base. With measures such as the Customer Average Interruption Duration Index (CAIDI), the denominator becomes the number of customers interrupted. If in the future, areas of the grid are communicating more accurate outage information, it is possible that outages would be “quarantined” more easily- this is to say that the area of outage may be appropriately shrunken. Thus, SAIDI and CAIFI may improve. However, in a smarter outage management system, with quarantined outages, the denominator of CAIDI becomes much smaller, thus making CAIDI increase dramatically. Do regulators want to base investments on such a measure? It is common practice for large events, such as storms, to be removed from the reliability calculations, as those events are out of an electricity provider’s control. Some jurisdictions allow for a certain number of events to be removed, others may have standards for what classifies a ‘large’ event. Thus, the commentary on storms may (or may not) be moot. Germany may be a tough comparison group. The table from the Gavin Electricity report may be taken with a bit of caution. The table is in the Gavin report is taken/adapted from the 4th Benchmarking Report on the Quality of Electricity Supply (EU study). Germany is about 85% the size of California. Outage management processes for a territory of that size of service territories may differ greatly from the wide spread of electricity delivery system designs in the U.S.
Next, the question of risk and rates comes into play. Disproportionately costly outages may occur in certain sectors. If that sector faces a particular risk, regulators and policy makers face a question of whether that risk may be spread across rate bases and classes, or just within a specific rate base (e.g. industrial). If a base faces risk, perhaps (or perhaps not) that base should face higher rates associated with the investment needed to prepare for such a risk. Rates continue to be a combination of economic and social policy. Economically, the true cost of reliability is not often bore out very well in rates. On the social side, regulators must make decisions on whether the impact of disproportionate risk is to be embedded across rate classes, or within. Great work by LBNL here. The LBNL report is perhaps an important step. As mentioned in the Abstract, there is little standardization of reporting reliability data, nor quantifying the cost (which will inherently differ by customer base in a specific area). As the authors note, we still have a long way to go! And again, an interesting post Prof. Wolfram! Great post! Don’t forget the high cost that people pay now (via diesel backups) as well as the MUCH higher cost that “we” experience from unexpected, occasional outages. The power outage in Amsterdam a month ago made national news (it’s a small country, but still), mostly because there were no backups! I don’t mind paying for reliability when the downside (adverse selection) is so bad. Jon’s point is telling, if population density is the key driver of the cost of wires. The population density in the U.S. is one seventh that of Germany. Even urban densities in the U.S, tend to be one-quarter of Europe. So, we get back to the cost benefit question and we need to constantly adjust our analysis. As electricity becomes more central to all aspects of daily life, the cost of outages rises, so the old standard can become obsolete. At some point, we also need to start thinking about entirely different approaches to reliability (e.g. microgrids, community and self supply, etc. It’s critically important to understand that most utility outages happen because of failures of equipment in the distribution system, not because the power system is unable to generate enough electricity. Most of the production costing literature discusses system outages related to the latter, but the former are often ignored. You wrote: “I don’t think Germans are using a radically different technology to drive their costs down”. But they are! Undergrounding wires, which is expensive, is the single most effective way to improve distribution reliability. Most German distribution wires are already underground, while ours aren’t. That explains the big difference in outages. I am generally in agreement. Distribution is generally the source of outages. An alternative for critical facilities such as aluminum smelters is to locate auxiliary generation at the site to provide power at milliseconds of interruptions. The same rational is applicable to the home provided we are ready to pay for the required dedicated on-site backup generation or lines to a separate substation. Germans are paying dearly for a good number of items impacting power services they receive: subsidies of solar power, higher gas prices, elimination of nuclear power, not to mention the cost of underground wires and socialized interconnection costs. Energy Institute Blog Is the U.S. Investing Enough in Electricity Grid Reliability?